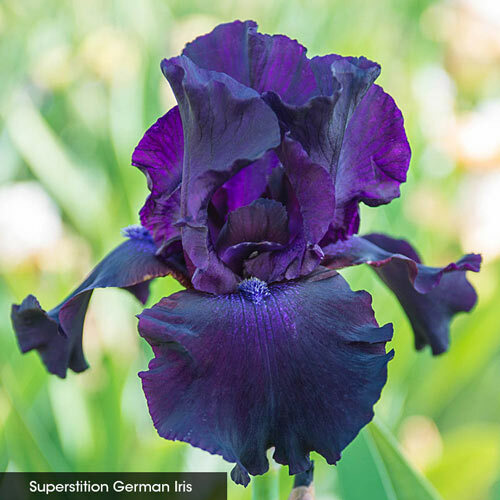 Deeply saturated, nearly black blooms are prized by iris lovers. It's such a romantic way to draw attention and it easily makes a focal point in the border. 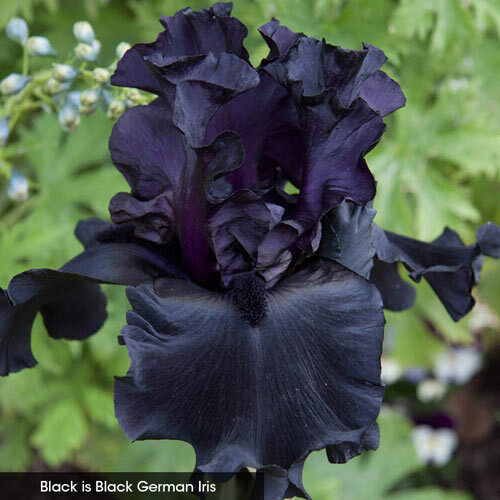 We selected three varieties with some of the most alluring nearly black blooms around, and created this value collection to save you 36% over buying each variety individually. 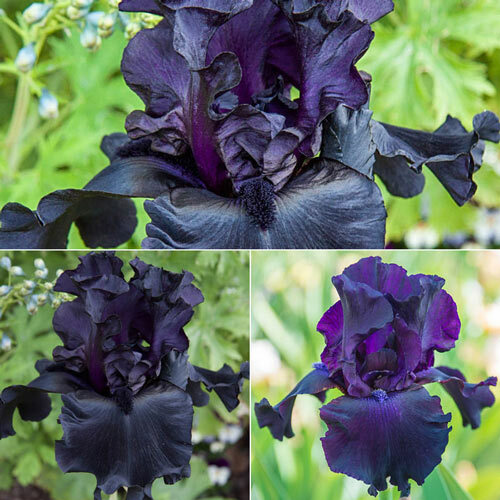 If you're planting iris en masse, drifts of these dark blooms add a lovely contrast that makes the whole collection livelier. They are also especially striking alongside pastel blooms, the dark and pale really pop together. This collection includes Black is Black, Midnight Oil and Old Black Magic. Planting InstructionsSet rhizomes so bottom 1/2 is below ground-level, firm well and water thoroughly. In sandy soil, they should be planted 1-2" deep. Winter CareNone, except to mulch in colder climates the first winter. 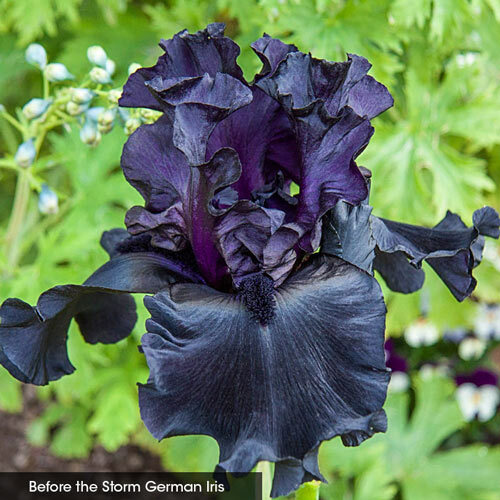 Flower FormTypical iris-like in various shades of black. PruningRemove spent flower stems after flowering. Cut back foliage to 6" leaf fans in late fall. Late fall/early winter.